The southwest corner of Harvard Park, at West 62nd Street and Harvard Boulevard, has been especially deadly. In the last year-and-a-half, four men have been killed there — while sitting in a car, trying to defuse an argument or walking home from the barber shop or the corner store. Harvard Park's 2016 homicide total was its highest in at least 15 years despite a downward trend in killings across L.A. County. The 64 homicides in Harvard Park since 2000 were primarily black and Latino males, but the list includes husbands, wives, fathers, mothers of all ages, and even some small children. Lino, a 23-year-old black male, died in 2017. Lomeli, a 18-year-old Latino male, died in 2017. Martinez, a 61-year-old Latino male, died in 2017. 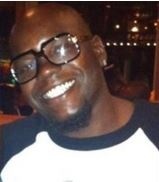 Craig, a 33-year-old black male, died in 2017. Gamble-Kendrick, a 73-year-old black female, died in 2017. Tatum, a 23-year-old black male, died in 2017. Davis, a 16-year-old black male, died in 2016. Garcia Hernandez, a 20-year-old Latino male, died in 2016. Parham, a 42-year-old black male, died in 2016. 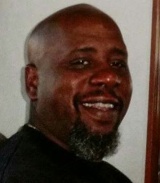 Wilkerson, a 46-year-old black male, died in 2016. White, a 33-year-old black male, died in 2016. Lopez, a 34-year-old black male, died in 2016. Ruffin, a 24-year-old black male, died in 2016. 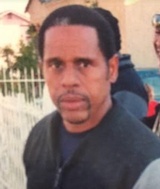 Durden, a 50-year-old black male, died in 2016. McClendon, a 52-year-old black male, died in 2015. Malone, a 37-year-old black male, died in 2015. Coleman, a 18-year-old black male, died in 2015. White, a 30-year-old black male, died in 2014. Williams, a 32-year-old black male, died in 2014. Herrera, a 24-year-old Latino male, died in 2012. Caruthers, a 19-year-old black male, died in 2012. Zamarripa, a 26-year-old Latino male, died in 2012. Hughes, a 79-year-old black female, died in 2012. Sullivan, a 53-year-old white male, died in 2012. Lockhart, a 28-year-old black male, died in 2011. Washington, a 30-year-old black male, died in 2010. Grady, a 39-year-old black male, died in 2010. Cotton, a 28-year-old black male, died in 2010. Traylor, a 24-year-old black male, died in 2009. Forman, a 19-year-old black male, died in 2009. Moore, a 20-year-old black male, died in 2009. McWayne, a 19-year-old black male, died in 2009. Mallory, a 15-year-old black male, died in 2008. Adams, a 53-year-old black male, died in 2008. Denney, a 20-year-old black male, died in 2008. Hill, a 64-year-old black male, died in 2008. Leon, a 19-year-old Latino male, died in 2008. Garcia, a 35-year-old Latino female, died in 2008. Blanche, a 22-year-old black female, died in 2007. Blanche, a 0-year-old black female, died in 2007. Wilson, a 48-year-old black male, died in 2006. Solis Jr., a 14-year-old Latino male, died in 2006. Woods, a 36-year-old black male, died in 2005. Greenberg, a 58-year-old black male, died in 2005. Price, a 51-year-old black male, died in 2005. Toliver, a 26-year-old black male, died in 2004. Edwards, a 41-year-old black female, died in 2004. Bragg, a 34-year-old black male, died in 2004. Grant, a 23-year-old black male, died in 2004. Gabriel, a 12-year-old black male, died in 2004. Peters, a 42-year-old black male, died in 2004. Davis, a 32-year-old black male, died in 2003. Moore, a 27-year-old black male, died in 2003. Keene, a 18-year-old black male, died in 2003. Marks, a 21-year-old black male, died in 2003. Andrews, a 45-year-old black male, died in 2002. Anyanwu, a 21-year-old black male, died in 2002. Ofoegbu, a 21-year-old black male, died in 2002. Cox, a 25-year-old black male, died in 2002. Harris, a 42-year-old black male, died in 2001. Flores, a 20-year-old Latino male, died in 2001. Mitchell, a 44-year-old black male, died in 2000. Brooks, a 35-year-old black female, died in 2000. Tinner, a 48-year-old black male, died in 2000.